It might surprise you but constipation remedies are well within your reach mostly in the kitchen and you can always try these to get some relief from this irritating problem. Some easy to try natural remedies for constipation have been listed below. Sesame is known to have a fair composition of the oil. This oily part moisturizes the intestine and can provide the much-needed relief in case of dry stools. These seeds can be added to cereals and salad or can be pulverized in a coffee grinder. You can them sprinkle them on the food just as is done in case of a seasoning. This is an effective constipation remedy and will provide quick relief. A tablespoon of blackstrap molasses just before bedtime is one of the most effective constipation remedies. This will help in getting relief from this problem by the morning hours. As the molasses is boiled and concentrated thrice, it is rich in vitamins and minerals. It is very rich in magnesium in particular and helps cure constipation. The role of fiber is like that of a pipe cleaning instrument. It scrubs the food and waste particles from the digestive tract. It also adds some bulk to the stool and helps them in moving smoothly. A person should ideally take 25 to 30 grams of fiber in a day to stay healthy. For increasing the fiber composition of the diet include bran cereals, lentils, almonds, oatmeal and fresh vegetables in the diet. If however, a person is taking some additional fibers due to constipation, water should be taken in large quantity as this will facilitate the movement of stool and will also keep them dry. Mint and ginger are known to reduce a range of digestive problems. Mint is known to contain menthol and has an antispasmodic effect which leads to relaxation of digestive tract muscles. Ginger, on the other hand, is known to generate heat in the interior of the human body and can speed up digestion in cases where the problem has been noted. When taken as a tea, these will stimulate digestion and will relieve a person from constipation. Avocados, nuts, and olive oil are known to contain healthy fats that lubricate the intestine and help cure constipation. You can also try taking salad having fiber-rich leafy green veggies with olive oil dressing and some nuts. Toast can also be a good option if a person is suffering from constipation. Consumption of healthy fats is also helpful in cases when weight loss is being practiced. Lemon is known to contain a fair amount of citric acid and it acts as a stimulator for the digestive system as it flushes out all the toxins from the human body. The lemon can be added to the water or can be taken in the form of lime tea. It acts as a natural remedy for constipation and will eventually improve long-term digestion problems which will limit the incidence of constipation. Consumption of coffee will definitely stimulate the colon and will ease the problem of constipation. However, since coffee is also a diuretic do ensure that you keep taking a suitable quantity of water alongside otherwise it could lead to other medical complications. Raisins are rich in fiber and also have a fair composition of tartaric acid which has some laxative effect on the body. Apricots and cherries are also known to contain fibers that can keep constipation at bay if taken on regular basis. These fruits if taken in a bowl of yogurt will bring enhanced results since yogurt is known to contain probiotics. Prunes are fiber-rich fruits that offer much-needed relief from constipation. Prunes are known to contain a compound which fastens the process of intestinal contraction which helps in relieving the problem of constipation to some extent. Figs can also be tried in case prunes are not available as figs also have the same benefit as prunes. This remedy has been tried for long to get rid of constipation. Since castor oil is a laxative and eases the digestive process, you can take 1 to 2 tablespoons of the same on an empty stomach. Castor oil shows results in 7-8 hours since a component of it leads to breaking down into smaller parts and stimulates the small and large intestine. As you try all these constipation remedies for easing the movement of bowel, follow them up with a 15-minute walk on a daily basis which will ease the bowel movement further. 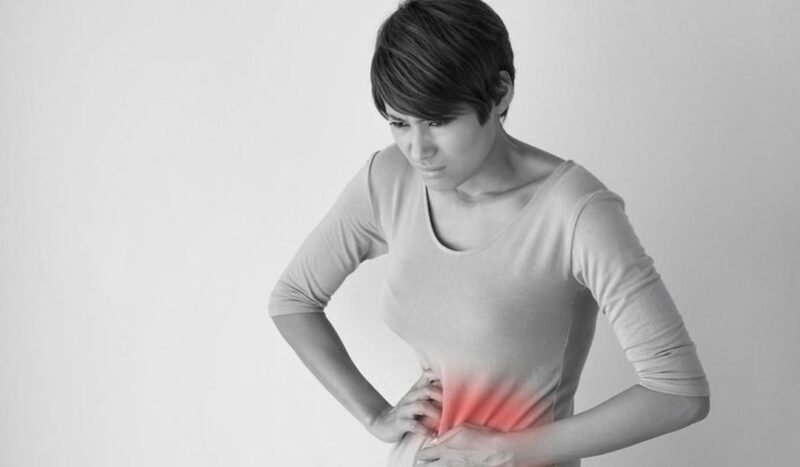 Do it often, especially after you take a heavy meal as it will undoubtedly ease out the problem of constipation even if you have been suffering from it for long. We at TheHealthDiary.com constantly strive to provide you with well researched articles and anecdotes, that may personally resonate with you. Our endeavor is to cover various health conditions, their causes, physical and emotional effects, symptoms and remedies. We will also focus on diet, nutrition, fitness, exercise and the other aspects of overall well being of an individual. Through the articles, we not only aim to promote awareness, but would also like to help you adopt a healthy lifestyle that includes regular physical activity and good nutrition.